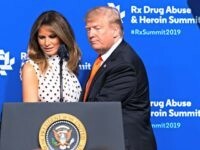 At least this year for the first time in eight years, the U.S. will not use taxpayer money to the tune of over $600 million annually to fund foreign non-governmental organizations (NGOs) that commit or actively promote abortions, or any organizations that support or participate in coercive abortions or involuntary sterilizations. This is because one of President Trump’s first executive actions in January was reinstating the Mexico City Policy, a policy which was originally issued by President Reagan in 1984, rescinded by every Democratic president, and reinstated by every Republican president since. Thankfully, the Mexico City Policy has now been restored. 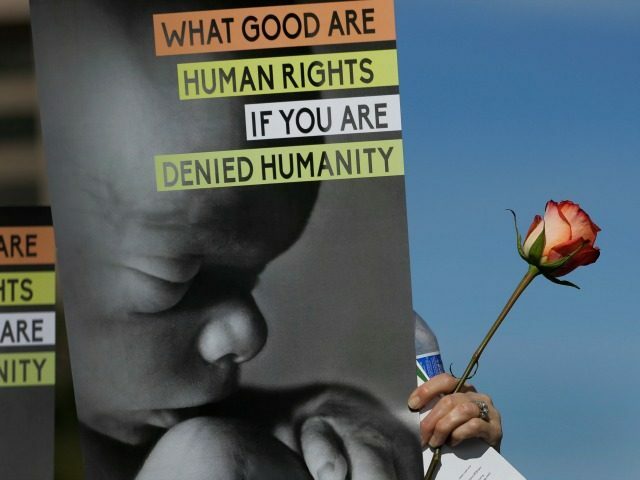 There is absolutely no reason why the U.S. should fund the killing of babies in the womb internationally by giving taxpayer money to NGOs that participate in committing and promoting abortions. President Trump expanded this policy to apply to funding coming from all U.S. departments and agencies. Two international organizations that are steeped in committing and promoting abortion are Marie Stopes International and the International Planned Parenthood Federation. When one adds pre-abortion and post-abortion “counseling” and “abortion consultation services” to the actual surgical and medical abortions that they commit, Marie Stopes International assisted in more than 3.4 million abortion and post-abortion services in 2015 with most of these services being medication abortion and post-abortion services. For International Planned Parenthood Federation, the number of abortion-related services doubled from 2012 until 2015: 2.1 million in 2012 to 4.2 million in 2015. They committed over half a million surgical abortions and over 433,000 medical abortions in 2015. Some may find this shocking, but even the founders of these organizations, Marie Stopes (and here) and Margaret Sanger (here and here), were anti-abortion! They must now be rolling in their graves that their names are associated with the commission of countless abortions worldwide. Abortion is a disservice and a disgrace to women everywhere. Why? Because abortion is not healthcare. Abortion not only kills children under the pretense of healthcare (and preborn girls are specifically targeted), but it hurts their mothers too. Abortion hurts mothers, physically and psychologically. Even more, abortion destroys the very fabric of the family unit, a unit deeply rooted by our nature in nurturing, protecting, and raising our young. The womb is supposed to be the safest place on earth for a child but it tragically has become the number one place of violence. Social justice begins in the womb. This International Women’s Day, I am happy that under Trump’s presidency, at least $600 million in U.S. aid will be redirected to health care and humanitarian relief. These radical abortion groups have been weaned off of American taxpayer dime and it should stay that way. American taxpayers should not be forced to partner with foreign organizations that kill babies internationally. The Mexico City Policy leaves NGOs with a clear choice: get out of the abortion business or get funding elsewhere. We must continue to spend our efforts and our money toward aid that is life-giving and life-protecting. We are the “city upon the Hill” and we must act that way. I look forward to an International Women’s Day where we again celebrate the many actual achievements of women and where the human rights of unborn boys and girls are protected. Arina O. Grossu, M.A. is the director for the Center for Human Dignity at the Family Research Council, where she focuses on sanctity of human life issues ranging from conception to natural death.